If you feel the siren call of earlier days and adventuring in games like Castlevania it’s a pretty great time to be a gamer. Obviously the “Metroidvania” style of gaming has taken the scene by storm in the past few years and it seems everyone is making one. 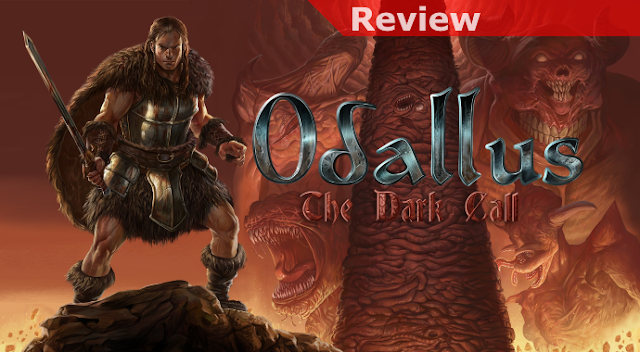 However, if you’re more interesting in going a bit more old school, as in playing something more akin to the early NES Castlevania titles you now may be in luck and want to give Odallus: The Dark Call a look. 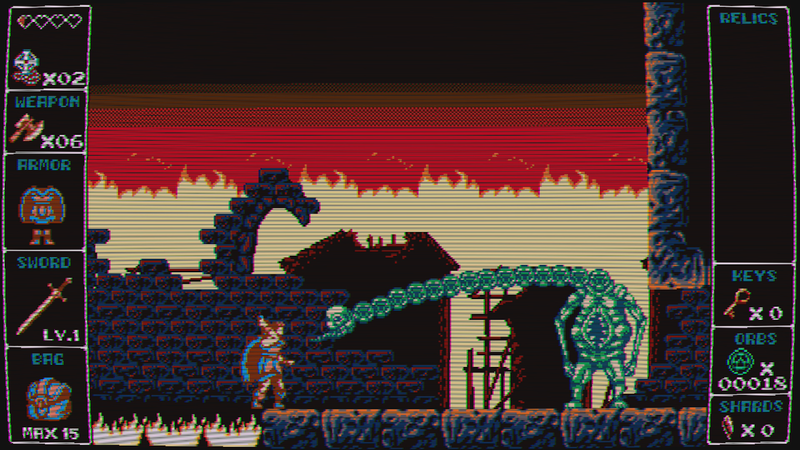 Playing as a warrior by the name of Haggis, you’ll be moving through some cursed lands and slaying demons along the way. 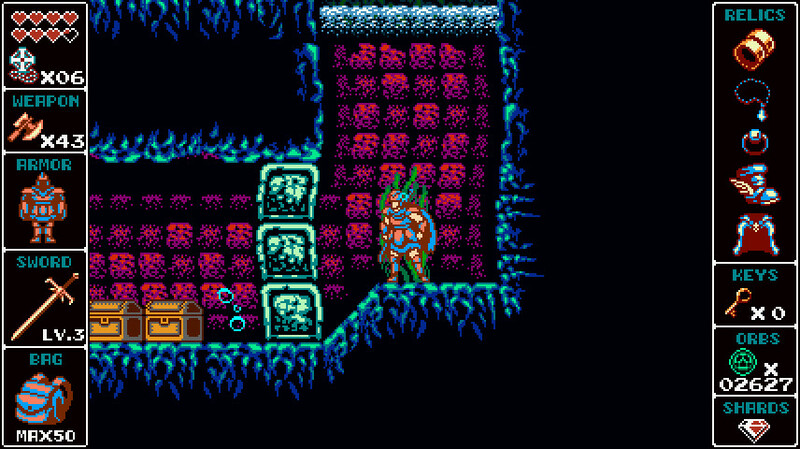 Working primarily with your old school sword you’ll gain secondary weapons along the way (some of which should feel pretty familiar), some of which will be essential to make use of returning to areas you’ve visited before in search of hidden areas that had been blocked off. 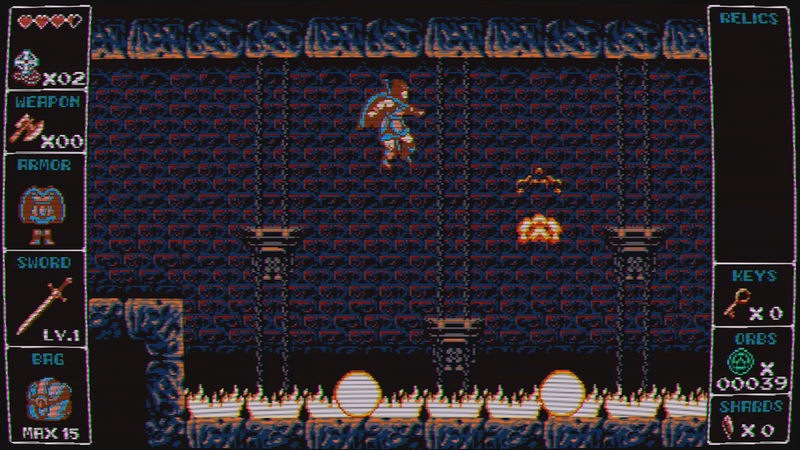 In the early going it definitely tends towards being a bit brutal as you come to terms with the pretty old school controls (not great, but feeling eerily similar to many games of that era nonetheless) but as you get accustomed to things and periodically hit the shops you’ll slowly begin to feel a bit more formidable. That’s a good thing, too, because most of the bosses and even some of the groups of enemies you’ll face will take some work to get through. Some of the problems here have to do with the range of your attack not being great but a lot of it often boils down to you having issues initially and then coming back a bit wiser and better prepared for what’s coming and how best to deal with it. Of course I’ll also note that I experienced slowdown and some glitches in places but I’m hoping an early patch will at least resolve most of those. Until there’s word of a patch there may be enough room for concern to make it worth waiting. If you’re willing to invest early on and overlook the somewhat rocky start the game gets off to there’s a pretty good retro experience here with hidden goodies like alternative outfits that show respect to the games inspirations and some other surprises. You’ll need to work a bit to earn some of them but they do help better justify getting through the times that drag a bit or can be frustrating. Of special note, like Oniken, please pay attention to the opening photo-sensitivity warning. While most people likely will have no issues the flashing effects featured in the game at times really puzzle me in the modern age. Given the potential for issues I’m not sure why these elements were included, as they offer nothing of significance to the experience as a whole and you also have no option to suppress them. While Odallus may end up having a pretty niche-oriented audience, retro gamers who like the old-school Castlevania feel may appreciate this one in particular.